Calling all chocolate lovers – if you want a blast of chocolate, then this take on brownies is something you will make over and over again. 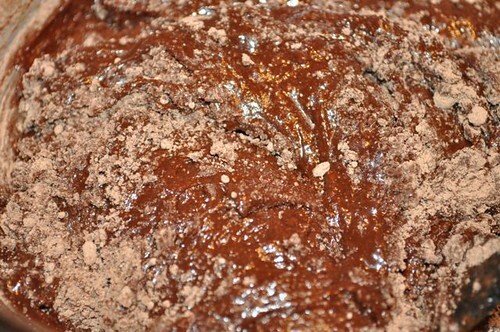 First and foremost, it’s a bit of a cheater recipe in that you start with your most favourite, decadent, rich brownie mix, right out of the box – and it’s what you do with that brownie mix right out of the box that turns you into the genie who wiggled right out of the bottle, but in this case, it’s the box. 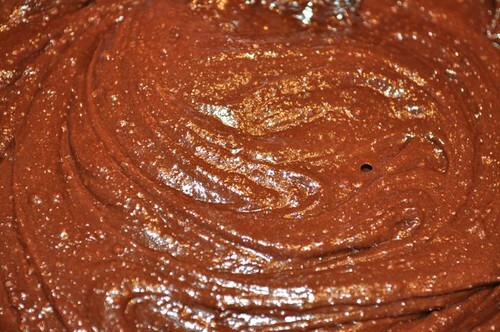 We’re talking a brownie mix, a little oil, a little water and an egg, all mixed together to make a thick paste. Spread it, bake it, score it, bake it some more, snap it, eat it. Now how easy is that? You don’t really expect me to answer that, do you? 1. 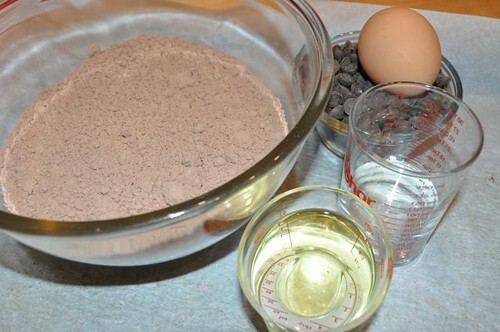 Gather the ingredients – brownie mix, water, oil & egg – chocolate chips are optional. 2. 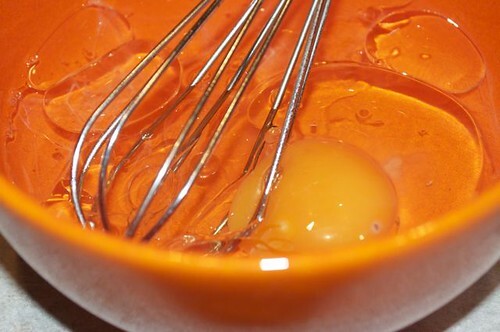 In a small bowl whisk together the egg, water and oil. 3. Until it looks like this. 4. 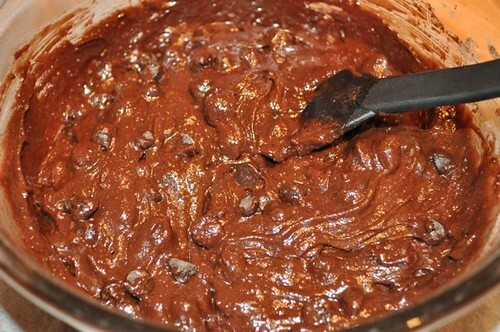 Add the wet mixture to the dry brownie mix. 5. 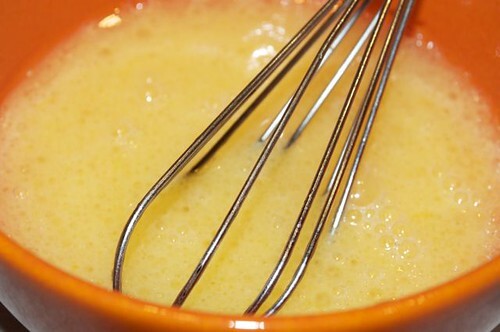 Start stirring to thoroughly combine. 7. Until it looks like this. 8. 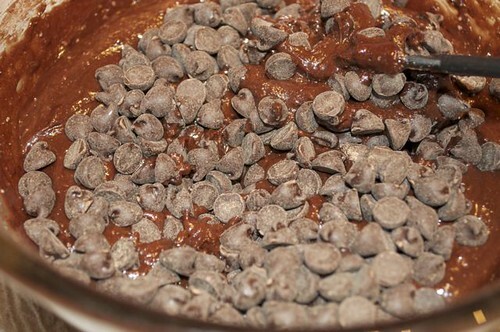 If using, stir in any additions – I’m adding chocolate chips, a completely optional step. 9. Give it a good stir. 11. 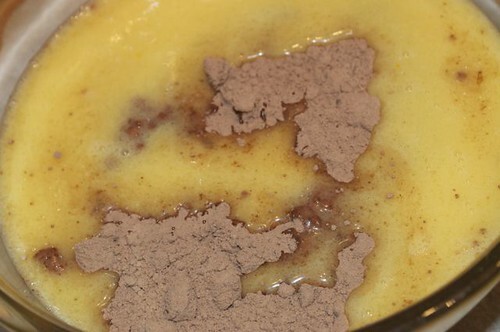 Spread it on a parchment-lined baking pan. 12. 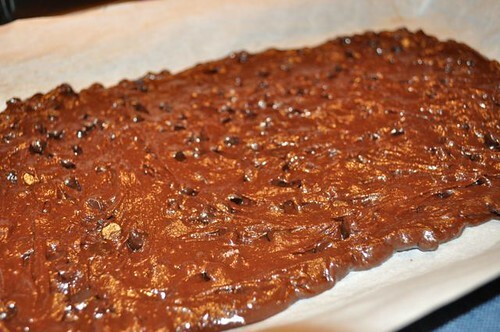 Keep spreading until you have a 10″x15″ rectangle and bake for 20 minutes or so. 13. It will have a crust on top and look half-baked. Get your knife. 14. And score on an angle or straight – it doesn’t really matter. 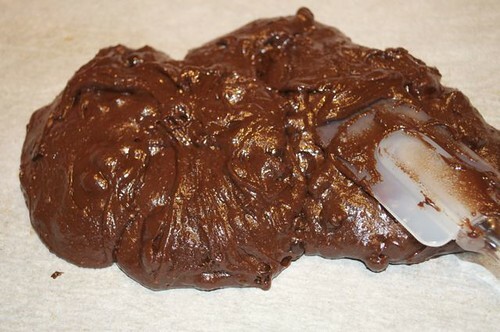 What does matter is to take care not to drag your knife through the brownie mixture or it will become a mess – press and lift, repeat. 15. Repeat to create squares or diamond shapes and return to the oven to finish baking. 16. 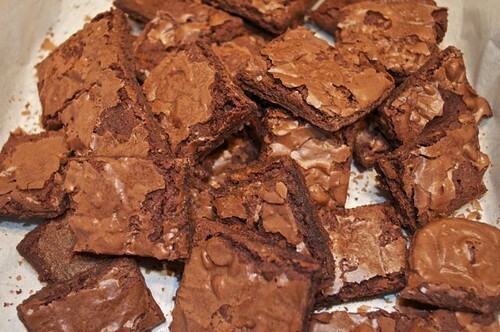 Allow to cool before you snap them into crispy squares. 17. Pile them high and watch them disappear. 1. 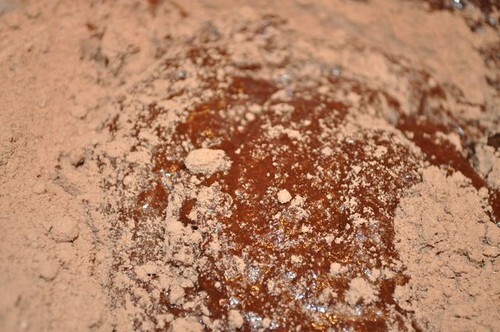 Preheat the oven to 375°F and cover a baking pan with parchment paper or spray it with non-stick cooking spray. 4. 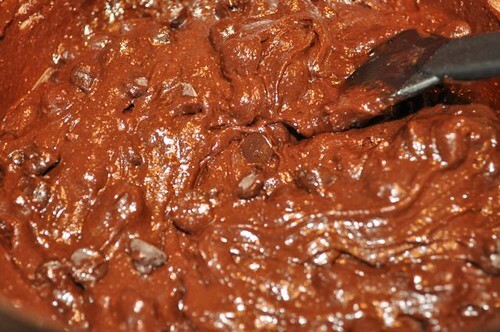 Add the wet ingredients to the dry brownie mix and stir thoroughly to combine. See below for add-in ideas. 5. Spread the “dough” onto the parchment-lined baking sheet and using an oiled knife or spatula, move it into a 10″x15″ rectangle. 6. 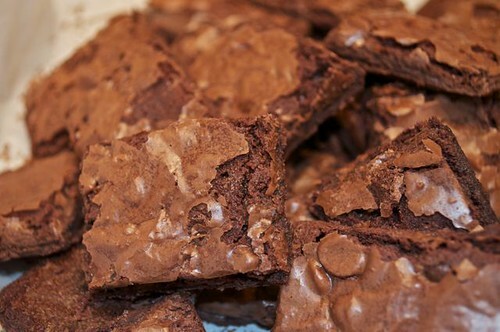 Bake for 20-25 minutes until half-baked. 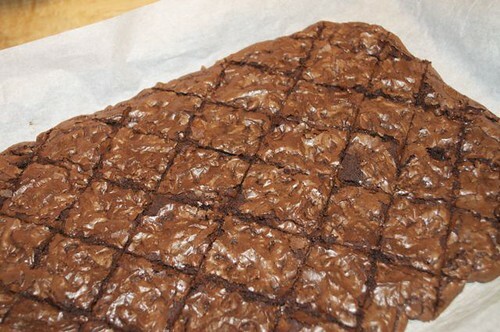 Remove from oven and carefully score into squares. 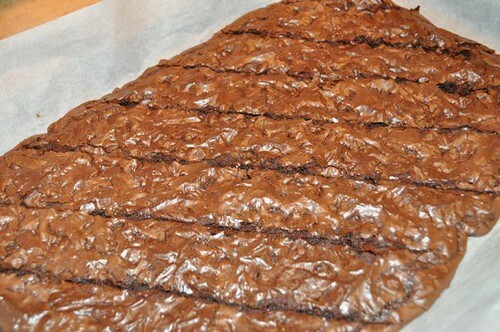 Return the pan to the oven to finish cooking, another 20 minutes until the brownies are crisp. 7. 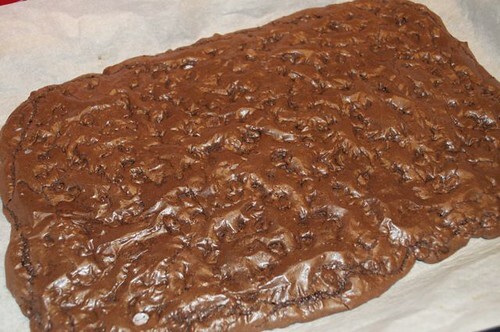 Allow to cool for a few minute before snapping the brownies along the score lines. They will crisp up as the cool. Store in an air-tight container – if they last that long!